Most of the English translations of Suske en Wiske have been published as part of a series. Apart from that a small number of stories appeared separately, most of them using the running title Willy and Wanda. 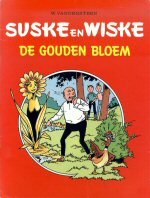 Only one album, a bilingual edition of De gouden bloem, carries the title Suske en Wiske.